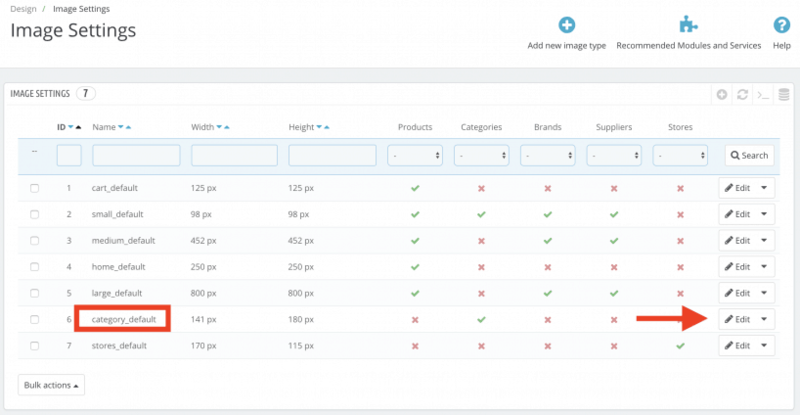 If you are experiencing blurry category images on your Prestashop eshop the problem is not with your theme, but in the image settings in your back office. Now I will show you how to increase the quality of the category images and regenerate the thumbnails. Go to your back office > Design > Image settings. You will find out that the default size of the category image (category_default in the list) is only 141px x 180px which is not much, especially when browsing your site on a retina display. Let's double this value. Click on "edit" of "category_default" and set the new proportions to: 282 x 360px. And now the second and last step. Scroll down a bit and regenerate the category thumbnails. And that is all! Make sure to clear the cache of your browser, because otherwise, you might still see the old images. How to display the full product name in a product box in Prestashop 1.7?